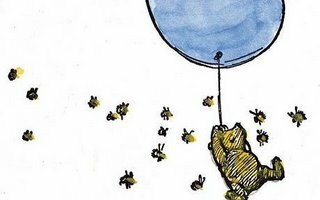 News that would have all Winnie the Pooh fans jump out of their seats, more than 80 years after the original Winnie the Pooh books by A.A. Milne namely "Winnie-the-Pooh" and "The House At Pooh Corner," were released a new book is on the anvil. It is being promoted as the 1st official sequel to the original books written by author AA Milne. "Return to the Hundred Acre Wood" will be written by David Benedictus while in the UK it will be published by Egmont Publishing and Penguin imprint Dutton Children's Books in the United States. The book is out due on October 5 and Mark Burgess who has previously done the illustrations for classic children's characters like Winnie the Pooh and Paddington Bear will be the illustrator for this book. Michael Brown a representative of the books' guardian the Trustees of the Pooh Properties, said the Milne and Shepard estates had long wanted to authorize a sequel. He said Benedictus and Burgess had "captured the spirit and quality of those original books."